Conyers, GA — March 31, 2010 — Classic Company’s president Bob Bell announced the first ever Musical Freestyle Hunt Seat Equitation Championship will premiere at the upcoming Atlanta Summer Classics, June 16-27, in the former Olympic Grand Prix arena of the Georgia International Horse Park. The idea came to Bell while outside a schooling ring on an off day of his show, sitting in a golf cart chatting on his phone the sound of a nearby stereo drifted over causing his attention to shift towards the horse and rider working over the fences to the beat of the music playing. “I saw the look of pure enjoyment on the rider’s face. 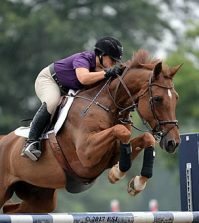 Both horse and rider were having a great time with the music as a backdrop to their workout, so it started me on a quest to recreate that fun in our class offerings,” Bell mused. Bell took into account the average length of a song with the amount of time to jump a typical 3’3 course then added an extra dimension of fun flatwork to the equation and viola a new vision comes to life. 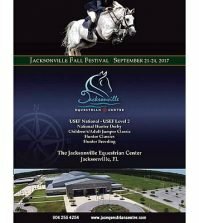 This Championship class is open to all Adult and Junior riders and will be held on Saturday evening during the second week of shows in the Grand Prix arena. The ground rules are simple, each participant’s selected music cannot exceed 3 minutes 30 seconds; if music includes lyrics they must be acceptable to the general public, nothing suggestive or inappropriate in the company of younger riders. Course will be a “Rider’s Choice – Take Your Own Line”, but 12 jumps are required. Upon completion of their 12 fence course riders will give a flat demonstration. “I’m looking at this as a creative mix, somewhat like Hunter Derby meets Musical Dressage Freestyle. I think riders want something unique and entertaining, a new challenge of sorts. 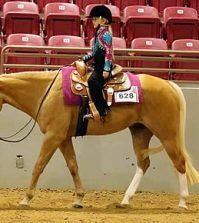 This class will provide an outlet to express a more personal side of the horse and rider bond,” Bell said. 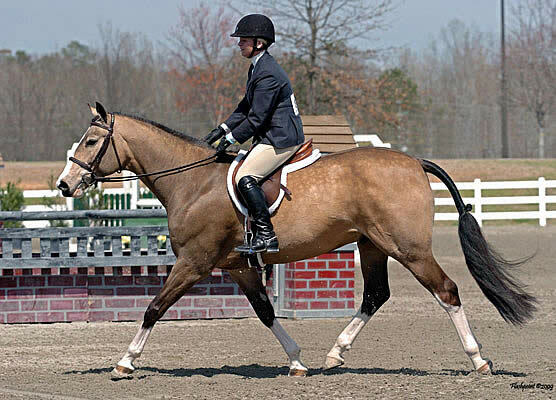 Entertainment aside, the class will have a panel of judges scoring competitors numerically not only on a pair’s equitation, but also on overall performance and bonus points awarded for musical interpretation. The duo with the highest score takes all with three reserve places. 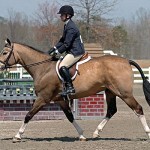 “The trainers and riders I’ve mentioned this idea to have been very enthusiastic about the class. I believe this has the potential to grow into a new tradition, a classic at our events. We’ll start with Atlanta Summer and go from there. I can’t wait to see what compilations our riders introduce,” Bell concluded. For more information or results on the 2010 Atlanta Summer Classics please visit www.classiccompany.com or call the office at 843-768-5503. 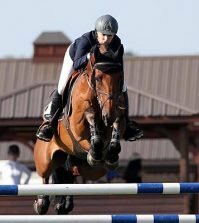 Flashpoint Media Services, based in Harrodsburg, KY, is a comprehensive public relations firm specializing in the equestrian sports. For additional information contact Robbi Meisel, 859-734 3713, robbi@flashpointmediaservices.com.